When it comes to business technology needs, what is more critical than email? This regional dental association was having email trouble its IT vendor couldn’t solve, so it turned to Anderson Technologies, a managed IT company with a track record of helping St. Louis small businesses with their technology challenges. Greater St. Louis Dental Society (GSLDS) is a nonprofit professional trade association that provides networking opportunities and professional development to its members, a group of nearly 1,000 dentists in the St. Louis area. GSLDS is a component of the Missouri Dental Association and the American Dental Association. For GSLDS—and for many small businesses and nonprofits—budgetary restraints make taking an ongoing, proactive approach to IT challenging. Recently, GSLDS realized the benefits of doing so firsthand and discovered the risks associated with not prioritizing technology needs. Meg Shannon, executive director of GSLDS, was introduced to Anderson Technologies by an active member of the association that is also a managed IT services client. This member arranged a free Onsite Cyber Security Training for new dentists, an educational workshop hosted by Mark Anderson, principal of Anderson Technologies. “She raved about the level and quality of service she had received, and since we had been having technology challenges, I decided to reach out,” explains Shannon. These technology challenges included a finicky, frustrating email system in which emails mysteriously failed to send and/or be received. Shannon was working with another IT provider at the time, and although it never called itself a managed IT company, it charged a monthly fee in exchange for ongoing support. The company attempted to troubleshoot the issue multiple times but couldn’t solve the problem. In general, Shannon and the team felt they weren’t getting the time and attention they needed. “We are small, and we have a small budget, but we still need quality customer service and support from our IT vendor. We weren’t getting that, but that has completely changed since we have started working with Anderson Technologies,” she says. Mark Anderson and his team performed an onsite infrastructure audit to identify areas that needed improvement. He then worked with GSLDS to prioritize issues. Shannon notes that “within half a day of working with us, Luke [Luke Bragg, senior system administrator at Anderson Technologies] was able to figure out the email issue” that had stumped her previous vendor. Shannon describes Anderson Technologies as responsive and professional. She appreciates that when they are trying to solve an IT challenge, Anderson provides a few solutions with different price points and walks her through the pros and cons of each option. In addition to the email migration and software update, Anderson Technologies improved the association’s approach to cyber security and disaster recovery by establishing a dual-destination backup system for the server and other key computers. Now their data is stored in the cloud and on a local hard drive. Soon after this transition, one of GSLDS’s hard drives malfunctioned. “Because we had completed the email migration, all of the user’s emails on the crashed drive were in the cloud safely backed up. This made the failure an inconvenience, not a disaster,” explains Anderson. “It is never a good time to lose a hard drive, but we were thankful Anderson Technologies was onboard when it happened,” notes Shannon. Shannon cautions that her business, like many St. Louis businesses, did not put enough onus on IT, and, as a result, Anderson Technologies had its hands full when it came onboard. “This experience opened our eyes even further to the problems that can occur when you don’t make IT a priority,” she stresses. Fortunately, this story has a happy ending. Greater St. Louis Dental Society’s computers are running faster, and Shannon has peace of mind that her data is being backed up appropriately and that her systems are more secure. Perhaps most importantly, she and her team are getting all their emails. Anderson Technologies specializes in managed IT services. St. Louis businesses of all sizes should consider the benefits of adopting an ongoing, proactive approach to managing their technology needs. For more information on what a managed IT company can do for you, email info@andersontech.com or call 314.394.3001 today. There’s a lot to like about cloud computing. St. Louis businesses can benefit from the cost-savings, security features, and ease of collaboration facilitated by cloud-based solutions. Here’s what you need to know. Worldwide spending on public cloud computing will increase from $67 billion in 2015 to $162 billion by 2020, according to IDC, a global market intelligence firm. This surge is fueled in part by a growing number of small and medium-sized businesses adapting cloud computing. St. Louis companies are investing more in IT across the board. According to a recent report, technology hiring in the St. Louis area is on the rise for the second half of 2017. More companies are expanding in or relocating to St. Louis, which is part of what’s driving the trend, but in general, St. Louis small businesses are investing more in digital marketing, mobile, and big data. Cloud services can play a crucial role in data security, and they also offer a host of other benefits. In the past, businesses stored all their data and ran their applications on company-owned and managed servers in their offices. Now, they can do these same functions online. When someone says they’re using cloud-based software, that software is delivered via the internet, as opposed to the “old days,” when we used CD-ROMs to physically install programs on our computers. If a business is using the cloud as part of its data storage approach, that means it is storing critical business information somewhere other than a server onsite. The information lives online. Let’s take a closer look at why small businesses are using cloud-based services. Cloud computing services allow smaller companies to leverage IT technology that was previously reserved for businesses with big budgets. For example, rather than having to invest in its own network of servers, a small business can pay a monthly fee to leverage cloud computing services. With cloud computing, it is also easy to scale services up or down as your business needs change. Storing data in the cloud, ideally as part of a hybrid approach in which you back up data locally and online, offers businesses of all sizes important security benefits. For example, if your server crashed or your office was hit by a natural disaster, you’d have peace of mind knowing your data was also stored remotely. The security benefits of the cloud extend beyond data storage. If you use cloud-based software, or software as a service (SaaS), your software is automatically updated with important security patches. These security updates help protect you from digital fraudsters, who are constantly looking for new ways to infiltrate your system. The increase in cyber crime also contributes to the growing adoption of cloud services. St. Louis businesses identify cyber security as a key concern, according to the previously cited report. If an employee clicks a link and unwittingly downloads ransomware, the damage could extend beyond that machine. New strains of ransomware can encrypt your entire network, even your local backup servers. If you were backing up data to the cloud, you would be able to work with your IT provider to wipe your system clean and start anew from your last backup. It is worth noting that not all cloud backup providers are created equal, and they are not immune from hackers. Cyber crime targeting the cloud is on the rise. A dual-destination backup approach is just one part of a comprehensive IT security plan. Cloud-based services make collaboration easier. A simple case in point is when multiple team members are working on the same file. Rather than sending the document back and forth and tracking changes, a system where edits can be easily lost or mismanaged, businesses can opt to use a cloud-based program, such as Microsoft OneDrive or Dropbox for Business. Then, multiple users can work from the same master document easily. When your data is in the cloud, you can also access it remotely, whether you are onsite with a client or working remotely. Those are just a few of the reasons to consider cloud services. St. Louis businesses should work with an IT specialist to determine what is right for them. Anderson Technologies has a team of St. Louis cloud services specialists who can assess your IT needs and determine, execute, and manage the most cost-effective, efficient, and secure plan for you. For more information on our cloud computing services, email info@andersontech.com or call 314.394.3001 today. IT consulting is a catchall phrase for partnering with tech experts to solve an IT-related business challenge. Let’s take a look at the pivotal role technology consulting can play for a small business. People often think of IT services as a way to help mitigate cyber crime and ensure their business technology runs smoothly. That is true, but small business owners should also consider the role IT can play in facilitating growth and helping them to achieve their business goals. This frees up your time so you can focus on business operations and what is most important to you. If you needed legal or accounting help, you would turn to a lawyer or an accountant. The same holds true for IT! Technology consulting is a professional service that small business owners can use to protect, grow, and improve their businesses. 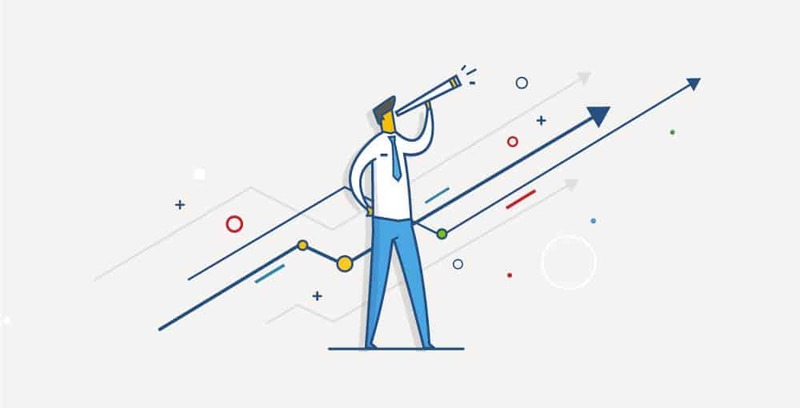 Your IT partner should be able to offer an infrastructure assessment where they investigate your existing equipment, processes, software, backup approach, remote access connectivity, and more to evaluate performance, highlight risks, and suggest a plan for improvement. This helps to prioritize your IT spending and address potential problems before they turn into costly IT headaches. Part of this process may include working with a software consultant who will examine what programs you are using to assess their effectiveness and safety. He or she may potentially recommend more cost-effective or better-performing alternatives, or even assist in migrating to cloud-based solutions. A cyber security audit is a process in which an IT consulting firm assesses your network security and data security, uncovers vulnerabilities, and suggests clear actions for addressing them. The audit should include a review of your firewall, network servers, workstations, software applications, user accounts, Wi-Fi, and even your approach to password security. This will help your business protect itself against all kinds of cyber crime, including malware, viruses, and ransomware, which is on the rise in St. Louis and around the world. IT security is an important part of all these compliance processes. Your IT partner should be able to run its own compliance audit to assess your performance, and it should be able to assist you if and when you are dealing with audits and certification processes run by third parties, including government agencies. Technology consulting is a fast-growing specialty, in part because of the crucial role technology and data play in a business’s success. The right IT consulting firm will help you make the best decisions when facing IT challenges or opportunities, whether you are devising a plan for growth, buying new equipment, filing for IT-related certifications, or preparing for, or running your own, compliance audits. Anderson Technologies is a St. Louis IT consulting firm that loves working with clients to help them reach—or, better yet, exceed—their business goals. Reach out today by sending an email to info@andersontech.com or calling 314.394.3001.